Muscle Joe Athlete Tank by Gold's Gym at Bodybuilding.com - Best Prices on the Muscle Joe Athlete Tank! A Staple In The Fitness Industry! You can only hope that everyone has pre-ordered their tickets to the gun show. 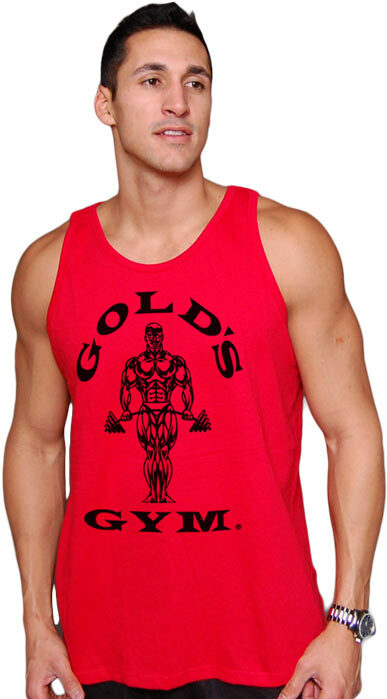 This basic 100% cotton tank top is a staple in the fitness industry. Chest 33.5" - 35.5" 36" - 38" 38.5" - 40.5" 41" - 41"
The material is nice. However, it is a slim fit shirt, bought and XL and it hardly fit over my chest. The first XL shirt that has ever done that to me. 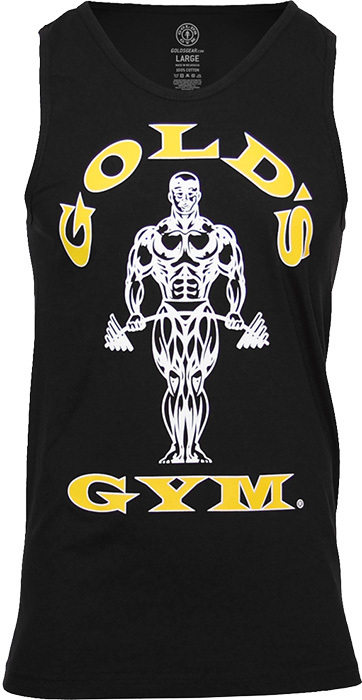 I have three of these tanks in multiple colors, knowing we do not have a "Gold's Gym" locally - I just want to stand out in the crowd. 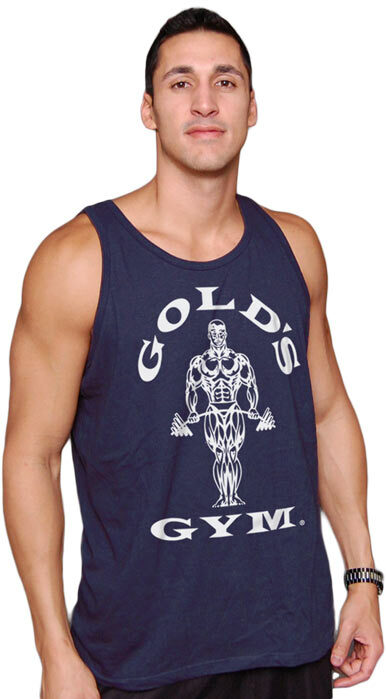 These tanks are great and wear well wash after wash. I find them more of a "Slim Fit" than a "Loose Fit" - so do know this when purchasing on line v. the store. 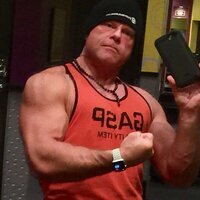 My favorite tank to train. It really shows off the muscle and it's made of a very high quality material. Even after several washes it still looks brand new. That's my only choice for gym t-shirts.